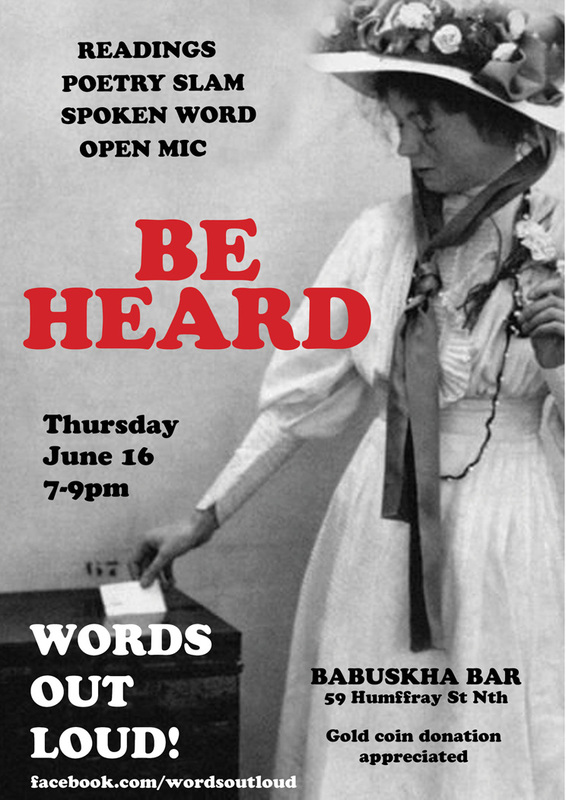 Words Out Loud returns to Babushka lounge in Ballarat on Thursday, June 16, 7-9pm, for its next session of spoken word. Writers, readers, poets — all word lovin’ folks with a hankering to share the love are invited along, with five-minute open mic spots on offer. Babushka has excellent sound and backing tracks can be accommodated. You won’t find a friendlier venue. In a nod to our federal election in July, the June event has a nominal theme of “be heard”, but as always, performers are encouraged to take the theme and run with it for their 5-minute slots — or ignore it altogether! Entry is free, though a gold coin donation would be appreciated for this non-profit, community event. Keep up to date at the Facebook page: www.facebook.com/wordsoutloud/. NOTE: The July Words Out Loud will be on the second Wednesday of the month due to a schedule clash — mark the calendar for July 14 (the theme, riffing off the winter dark, will be “light it up”). Because that’s what they’re doing, now that 100 Lightnings is finally in the wild (i.e., at the usual online retailers, and certain booksellers around Adelaide). 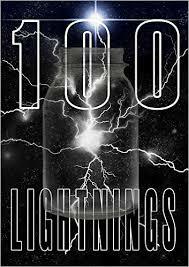 The volume of flash fiction was commissioned in 2011 — not all lightning strikes fast — but should pack a bit o’ zap, given the names on that list of contributors (yes, I’m in there, but I’m low wattage, eh!). 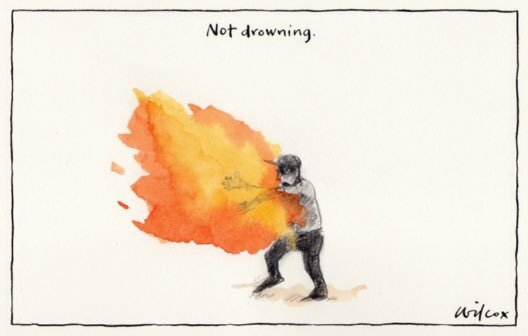 Omid: Cathy Wilcox, Sydney Morning Herald. He is only evil in its most banal iteration, one of the interchangeable head-nodders with a stubborn pride in taking instruction, the ones for whom thinking is a moral failing curtly avoided. That’s Geoff Lemon on Peter Dutton, the latest in a line of politicians who are failing this country for their own self-interest. Read his When there’s nothing left to burn, you have to set yourself on fire. It’s a wonderfully erudite appraisal of the situation concerning our offshore detention camps. Seriously, how many more lives are going to be ruined, how much longer is this country’s soul going to be stained, by these “headkickers, happy to bully people towards death rather than risk a perceived electoral advantage”? The United Nations Refugee Agency (UNHCR) has called for the immediate transfer of refugees and asylum seekers out of the Australian-run detention camps on both Manus Island and Nauru. It’s time to end this, because this is not Australia. 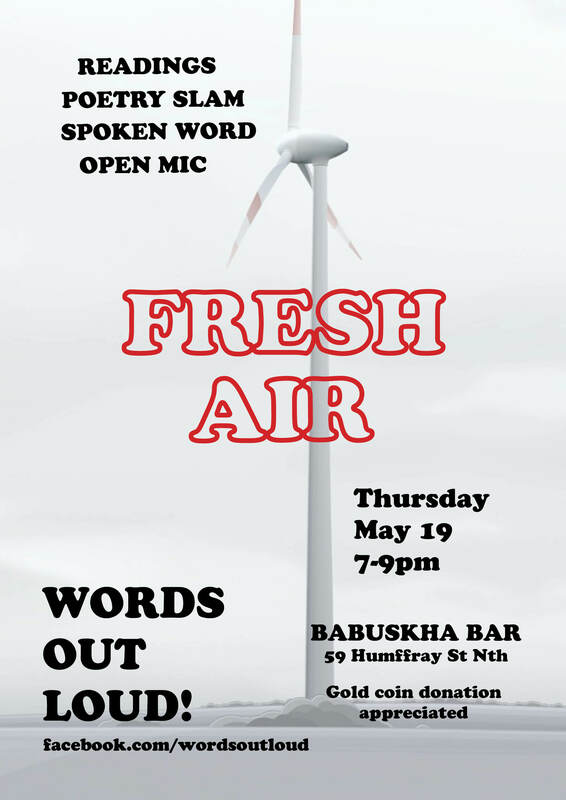 Words Out Loud returns to Babushka lounge in Ballarat on Thursday, May 19, 7-9pm, for its next session of spoken word. With the Federal Budget blowing in that month, May’s theme is “fresh air”, but performers aren’t required to play to theme. Entry is free, though a gold coin donation would be appreciated for this non-profit, community event (and to show that appreciation, there’s a door prize for donors!). Keep up to date at the Facebook page: www.facebook.com/wordsoutloud/. The June Words Out Loud will be on June 16.